Last month, Uber lost its license to operate in London, but had 21 days to appeal – and 21 days later it's now officially lodged that appeal, submitting the necessary documents to Westminster Magistrates' Court. 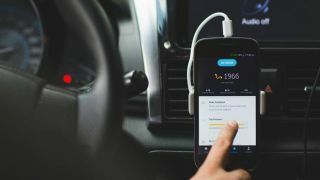 The move comes as no surprise – Uber has 3.5 million punters registered in the UK capital, and it will desperately want to hang on to that custom – but what it means for users and drivers is that Uber carries on in London as normal for now. An initial court hearing for the appeal will be held on December 11. "While we have today filed our appeal so that Londoners can continue using our app, we hope to continue having constructive discussions with Transport for London," Uber said in a press statement. "As our new CEO (Dara Khosrowshahi) has said, we are determined to make things right." The taxi-hailing app has not had the best of times in recent years, with scandals and shake-ups at boardroom level, and regular criticism over its hiring practices, the way it treats its drivers, and the way it does business in general. The London ban isn't the first time it's had trouble with the authorities. In its initial decision, Transport for London (TfL) pointed to concerns about Uber's reporting process for serious crimes, the background checks it ran on its drivers, and the shady methods it has reportedly been using to boost business and stay below the radar of the regulators. Recently installed Uber boss Khosrowshahi has promised that the company is keen to change its ways and fit in with whatever requirements the London authorities have. TfL, meanwhile, is going to have to find a way of pleasing both the riders and drivers who rely on Uber and those working in the traditional black cab business.